Dell shareholders are set to vote Thursday on the $24.4bn buyout plan, which would take Dell private and allow founder Michael Dell to restructure the company without the pressures of a publicly traded firm. A customer looks at a Dell computer on February 5, 2013 in Miami, Florida. With a critical vote looming on a private equity buyout for Dell, it has become clear the struggling computer giant faces a tough road as it tries to revive its fortunes. AFP – With a critical vote looming on a private equity buyout for Dell, it has become clear the struggling computer giant faces a tough road as it tries to revive its fortunes. The plan has been endorsed by the prominent proxy advisory firm Institutional Shareholder Services, but several stakeholders are opposing the buyout and corporate raider Carl Icahn has been waging a campaign to derail it. Some reports say the vote is likely to be close, and that Dell may delay the vote if it lacks a majority. But in any case, Dell faces a rocky future. “I expect the deal to go through, and if it does I would expect Michael Dell to make changes rapidly,” said Roger Kay, analyst at Endpoint Technologies Associates. As a private company, Dell would be less profitable for a time but could reorganise with a longer view in mind, said Boston University professor of management N. Venkatraman. 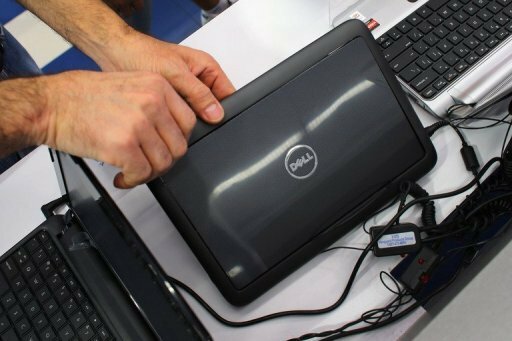 “There is a part of me that feels Dell might have missed the boat,” said Venkatraman. Still, Venkatraman said Dell still has a strong brand name and can get back on track. “I think the post-PC market shift will take a decade to play out, but Dell needs to play its cards right,” he said. Jack Gold, analyst at J. Gold Associates, agreed that Dell needs some dramatic moves. “If the vote goes against the buyout, I think Dell would have a much tougher time making the changes it needs to make in order to get back in the game in a big way,” Gold said. Once the world’s biggest PC seller, Dell has fallen behind rivals Lenovo and Hewlett-Packard and faces pressure because of slumping computer sales. A recent survey showed worldwide sales of personal computers dropped for a fifth consecutive quarter in the April-June period. Dell has failed in smartphones and tablets, but has seen some success in software and business services through its acquisitions.